Bust of Kennedy to left, date below. 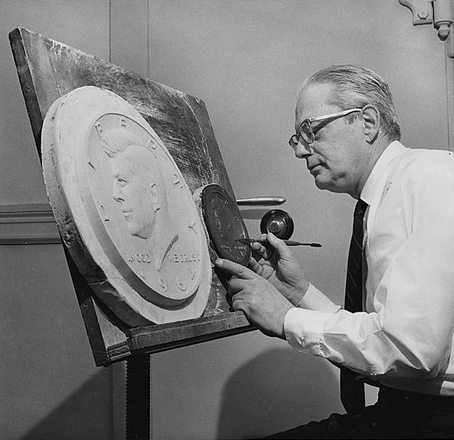 Gilroy Roberts was a sculptor, gemstone carver, and the ninth Chief Engraver of the United States Mint between 1948 and 1964. 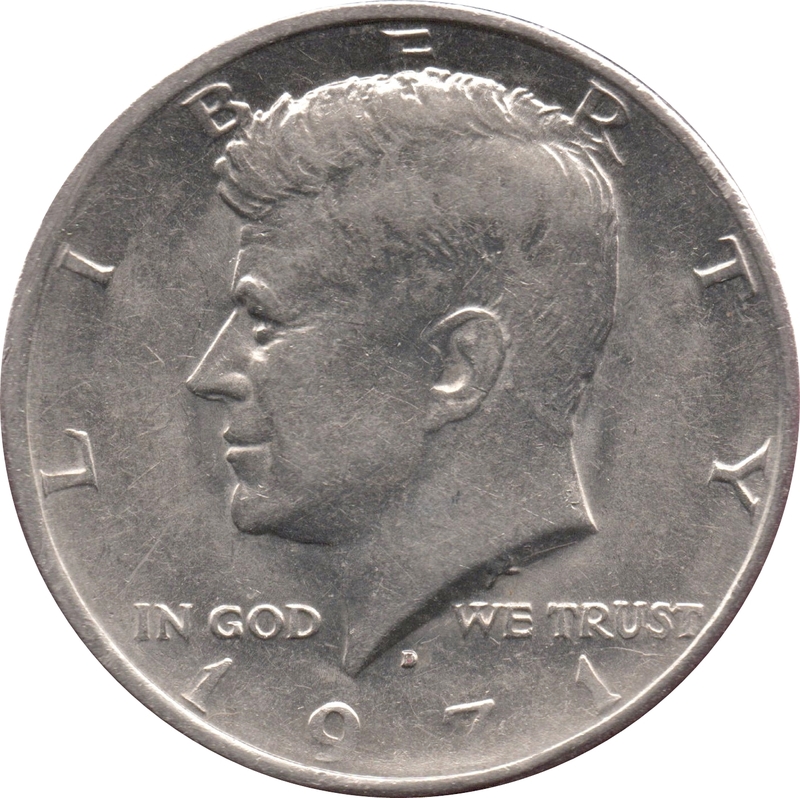 He is notable for having designed the obverse of the Kennedy Half Dollar. 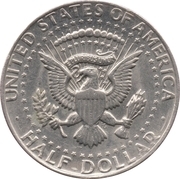 Modified presidential seal of the United States of America: A shield (with vertical stripes) on the chest of an American eagle. 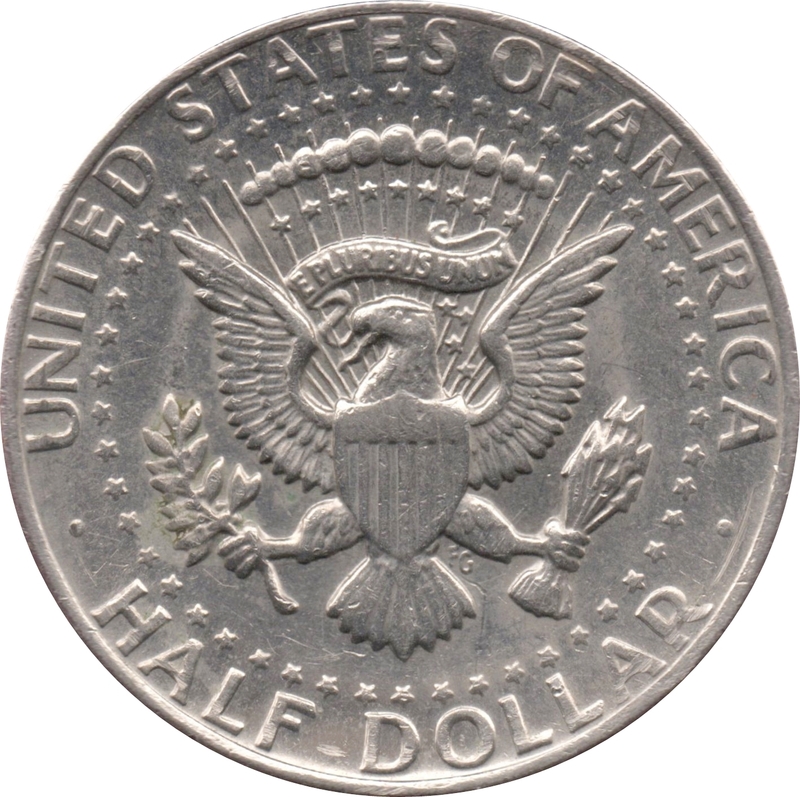 The eagle holds an olive branch on its right talon and a bundle of thirteen arrows on its left, and in its beak a scroll with "E PLURIBUS UNUM". A circle of stars surrounds the eagle. 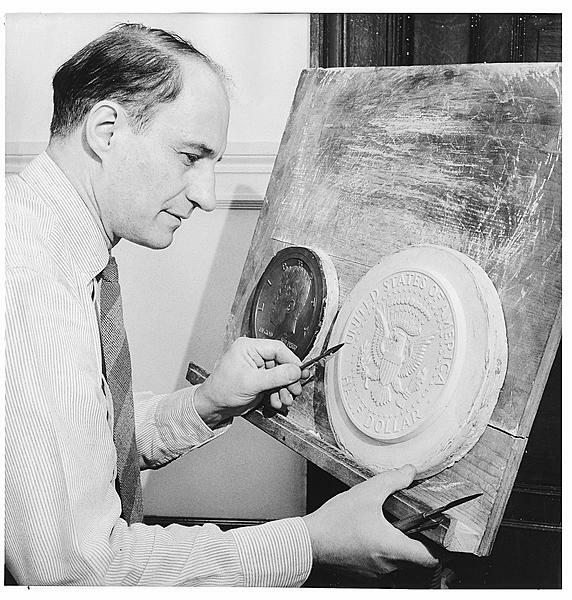 Frank Gasparro was the tenth Chief Engraver of the United States Mint, holding this position from February 23, 1965 to January 16, 1981. Before that, he was Assistant Engraver. He designed both sides of the Susan B.
Gilroy Roberts monogram, which some confuse for a hammer and sickle, appears on the truncation. ½ Dollar "Kennedy Half Dollar"